Health And Wellness with Ease. Join our Nature club and save up to 20%. You will receive healthy guides, exclusive discounts and learn about the benefits and the healing power of Nature. CBD or Cannabidiol is the non-psychoactive compound of the hemp plant. 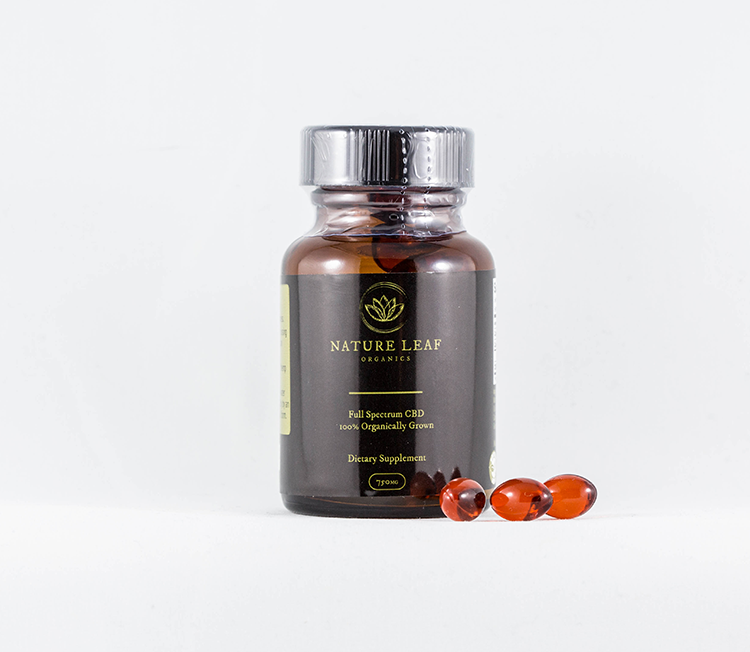 It has been clinically proven to offer therapeutic health benefits. 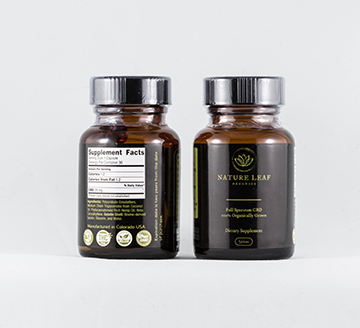 Nature Leaf Organics CBD contains full spectrum cannabinoids, which are extracted from organically grown food grade hemp. 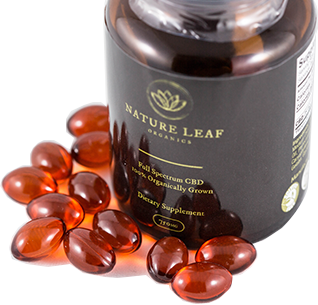 Our Nano-Emulsion technology ensures superior Bioavailability of the CBD - for quick absorption. 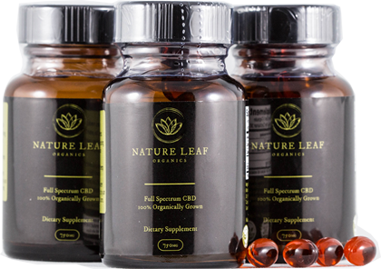 Our full spectrum CBD softgels are created with water - soluble liquid and each contain all the synergistic cannabinoids needed for the entourage effect. 25mg of full spectrum CBD, Cannabigerol - CBG, Cannabinol - CBN, Cannabichromene - CBC and over 40 naturally present terpenes. We use the most superior extraction technology that ensures superior accuracy and Bioavailability of synergistic cannabinoids. Our formula of Nano Emulsion & Chromatography technology includes 5-10nm droplets with more surface area, which ensures 4X higher absorption of Cannabinoids for maximum solubility in the blood stream, delivering maximum health benefits. Our strains are rigorously tested to ensure the THC levels are always well below .3%. 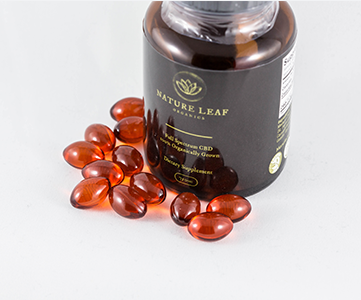 Our Full Spectrum Softgels are completely non-psychoactive, meaning they have 0 THC. They are tested by a certified third party lab to ensure quality and consistency. We cultivate from food grade Hemp and all Nature Leaf Organic CBD contains no GMO's, pesticides and solvents.